British Airways has announced shockingly logical plans to alleviate tight flight connections and prevent passengers from missing flights. That’s not to say no one will ever miss a flight again, but a series of promising new initiatives could make an instant impact, starting almost immediately at London Heathrow Airport. These changes offer a top down approach to the melee of the airport, leaving just one question: will they work? Park in one gate, make the next flight with ease – park at another, probably miss it. Few airports rival the footprint of London Heathrow, and amongst other initiatives, British Airways is taking a big step towards parking. The airline will seek to identify incoming flights where a large number of passengers are connecting onto a specific flight. If at all possible, they’ll aim to park the plane at a gate nearest the flight with the largest number of connections, cutting down on the time it takes to make the connection. This begs the question: why aren’t others doing this, or are they? Similar to intuitive gate assignments, flights with large numbers of passengers transferring to a specific flight will also encounter vehicle transfers for all affected passengers. A bus or car will be waiting at the gate and all passengers on that flight will be directed to the vehicle to speed up the transfer process. British Airways is adding extra vehicles and dedicating more manpower to turning impossible connections into, well, at least “possible” connections. At risk passengers traveling in First or Club World, or British Airways Gold and Silver Executive Club members may find a private sedan waiting airside to privately transfer passengers to the next flight, in true VIP fashion. According to the airline, the transfers have proven so popular, more Jaguar sedans are being added. Years ago, Apple & IBM pioneered a passenger assistance platform, which allowed airlines to rebook and assist passengers from the air, via connected iPads. British Airways can now identify missed connections in flight, rebooking passengers instantly from the air. This saves tremendous hassle for passengers when they land, and can simply hop off the flight and be greeted by staff with a new boarding pass and any necessary vouchers. It’s not new, but British Airways is continuing to expand their “fast track” connection service, where airline staff proactively meet at risk connecting flights and hand passengers information packets with everything they need to make their next flight. This will now be coupled with kiosks to print boarding passes and update itineraries as well as more dedicated staff to keep things moving as smoothly as “airport possible”. With all airline rollouts, the proof is in the missed connections – or lack thereof. It’s exciting to see British Airways expand on programs which have been extremely well received this year by customers across all cabins. 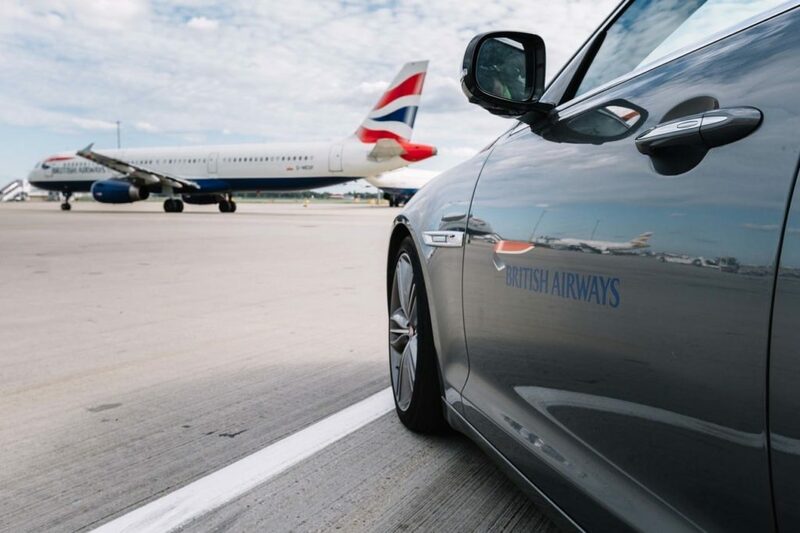 We’ve heard feedback from many readers who have received car transfers for tight connections, and this service brings British Airways teams up to the enviable standards of partner American Airlines at their flagship hubs. There’s no question technology (and logic) are the future of the airline business, and it’s nice to see quite a bit of it being deployed here, along with an increased human presence. I’d be happy if BA knew what gates their flights depart from. I can look at the status boards at LHR an hour before departure and they still don’t know what gate will be assigned. This is really troubling if you are at T5, course A and at the last minute you find out that you now need to be a concourse C.
I’d still rather have clean cabins, some customer service, reliable food adequate to the duration of the flight and working IFE… a distraction as the desperate giveaway event in London. Only a shift is priorities (profit vs delivering the services sold) will change my view.